Center for Research on Christianity: "IN THE BEGINNING": 6000 YEARS AND 6 DAYS AGO? 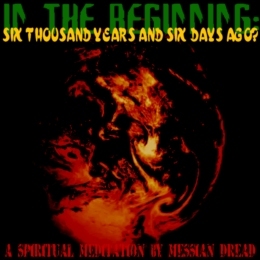 "IN THE BEGINNING": 6000 YEARS AND 6 DAYS AGO? Creationism", unlike the popular idea, is not "just" the knowledge that creation was created by the Creator. If that would be the case, I could have been labeled a "Creationist" myself. However, I am not. And still, I believe that Jah created creation and no I do not believe that he did that through Darwin, so to speak. I do not believe mankind comes from the proverbial monkey.